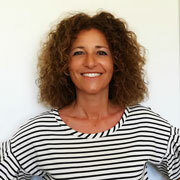 Giulia Bubbolini is COO at CISE – Centre for Innovation and Economic Development, Agency of the Chamber of Commerce of Romagna, Italy. With a degree in Economics and Trade and post-graduate training on SME Internationalisation, Giulia’s expertise in responsible innovation comes directly from the field, from years of supporting small businesses to compete in the global market, using various methods for responsible business and innovation processes. Her professional experience has long focused on supporting enterprises to meet the global market’s increasing demand for sustainability and social accountability. Her current professional environment is a public body supporting innovation and supplying CSR certification services: support to responsible innovation emerged naturally from this background. Responsible innovation in the business context has become one of the pillars of CISE’s work, resulting - among others - in the publication of the UNI/PdR 27:2017. Giulia has been leading European Territorial Cooperation projects promoting responsible innovation since 2012. CISE is committed to mainstreaming responsible innovation into innovation and SME support programmes across Europe, thanks to the ongoing projects Interreg Europe MARIE and Interreg Central Europe ROSIE, and previous projects Interreg IVC COGITA, South East Europe FaRInn and CIP ICT PSP R-ICT.